For the majority of the time it was in use, the sestertius was the largest base-metal coin used in the Roman Empire. It was introduced by the emperor Augustus in or about 23 BC at a value of a quarter of a denarius, and remained the largest base metal denomination in the Roman empire until late in the 3rd century AD. 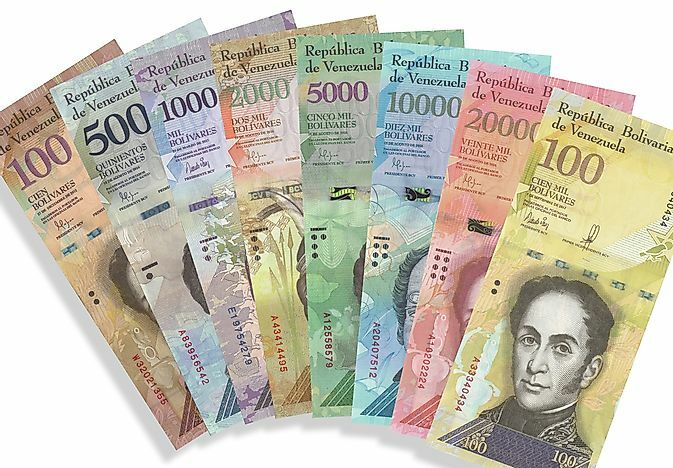 I decided to start collecting hyper-inflationary banknotes a short while ago - this notion was kicked off when reading articles online about the current economic situation in Venezuela, where prices of everyday goods are currently doubling about twice every month (at the time of this article anyway). I find it interesting to own and handle an item that someone else on the other side of the world regards as both valuable and worthless at the same time. Saudi Aramco (Arabian American Oil Company) owns, operates and develops all energy resources based in Saudi Arabia, and as a result is believed to be the world’s most valuable company. The relationship between the United States and the Saudi government is well known as being both lucrative and complex for both sides. It is also well known that this relationship has been tested numerous times over the past 70 years, most significantly when it became known that 15 of the 19 terrorists involved in the September 2011 terrorist attacks on New York were Saudi citizens. American Gold for Saudi Arabia? It’s hardly within my area of expertise to provide you with a concise and entirely accurate introduction to the history of Maundy Thursday, and the role that coins have played in it (in the United Kingdom), so be advised that the information that follows has been entirely collated from information that’s readily available online - click any of the links for more information about the subjects discussed. For many centuries, the Dutch dominated the lucrative spice and opium trade of South East Asia, and the British East India Company (EIC) first attempted to enter it by establishing a pepper-trading center and garrison at Bencoolen (Bengkulu) on the South-West coast of Sumatra in 1685. For a time, Bencoolen was a Presidency in its own right, and controlled the administration of other British factories along the West coast of Sumatra. As it was far away from the primary regional trade routes however, Bencoolen functioned mainly as a penal colony - it could not successfully produce pepper as planned and it became a financial loss to the EIC. Despite this chequered history, Bencoolen was in fact the last territory in Indonesia to be held by the British.